Telecaster lovers of the Wildwoodiverse, we have a delectable roasted morsel of tone for you! We are proud to present another awesome addition to our line of Thin Skins: the Roasted '52 Telecaster. It's a fresh take on one of our most popular Thin Skins of all time, and we could not be more excited about it! 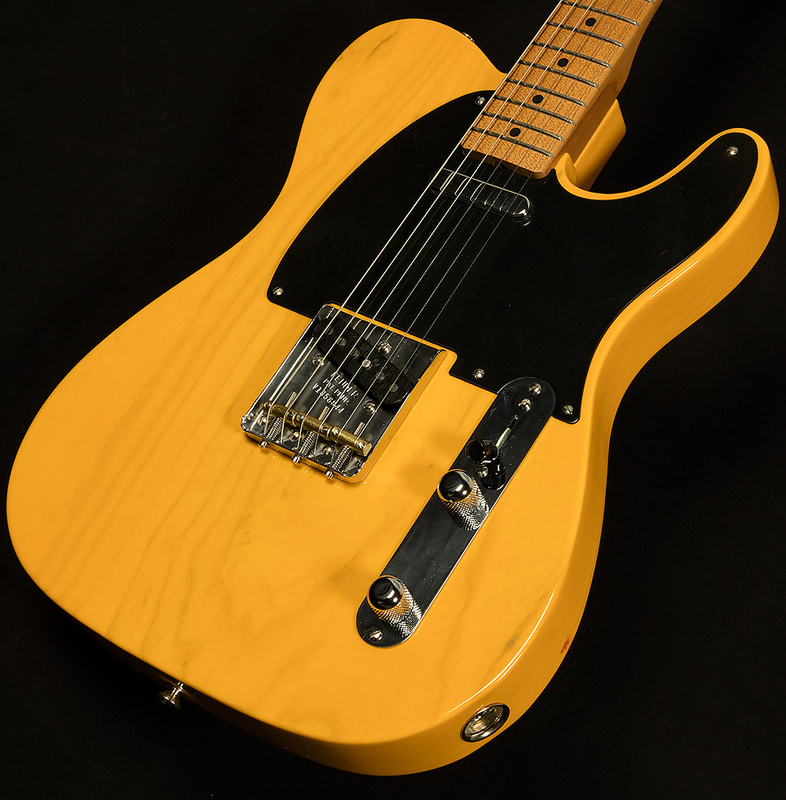 It borrows the classic styling of the 1952 Telecaster--because you can't really go wrong with a butterscotch blonde finish on an ash body, right?--and adds in some modern flair with a roasted maple neck. Roasted maple looks really cool, but it's not just for show! After the roasting process pulls most of the water out of the wood, it leaves you with a strong, stiff piece of maple that resonates like a tuning fork! Because of their roasted necks, these terrific Telecasters have a slightly snappier attack and a drier, more focused harmonic response that produces a strong, clear fundamental; in other words, they respond similarly to some of our favorite vintage Teles! These necks also feel fantastic, because they have a satin nitrocellulose lacquer finish--a first for Wildwood! Satin nitro finishes are great for necks, because they don't require any break-in time. While gloss finishes may be more historically accurate, they do have a sticky, tacky feel at first, and you have to play them for awhile to make it go away. With a satin nitro finish, you'll get buttery-smooth handfeel right out of the case! 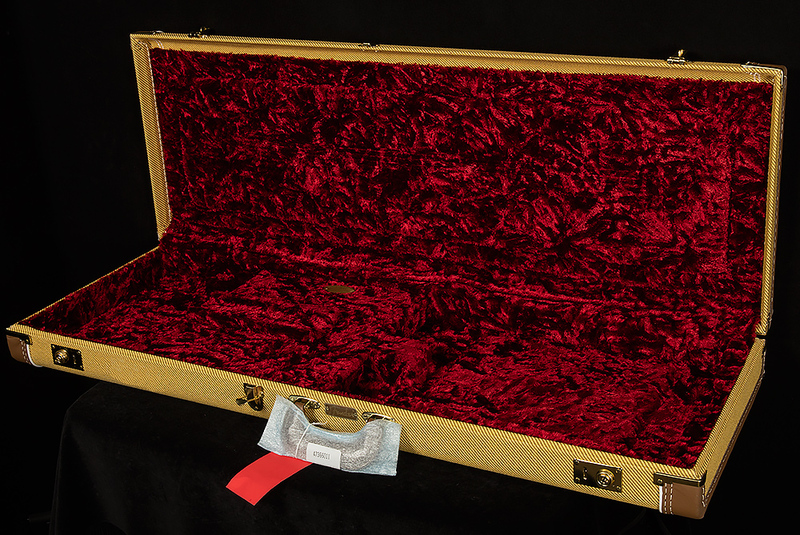 Of course, like all our Thin Skins, they come equipped with Custom Shop electronics for three-dimensional, full frequency response, and they also have 6105 frets and a 9.5" to give discerning modern players the comfortable ergonomics they crave. And we've made much ado about the roasted neck, but let us not forget the thin nitrocellulose lacquer finish that allows these Teles to breathe and resonate like a fifties Fender! We are so proud to present another of our spectacular collaborations with the incomparable wizards at Fender, and we know their roasted necks will inspire you to turn up the heat!